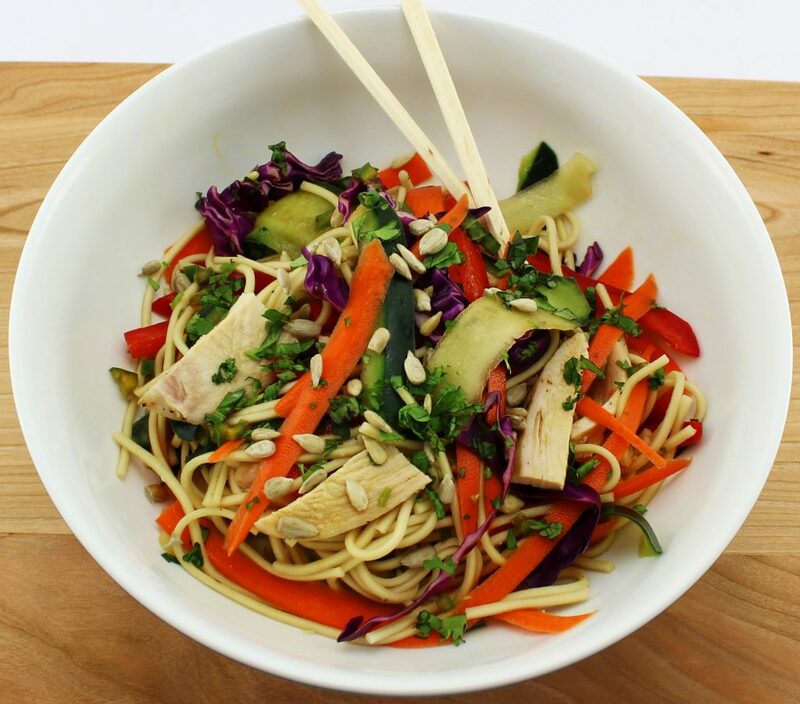 Healthy and light Asian Noodle Salad that is easy to make with fresh ingredients! Perfect for a grab on the go meal. Weight Watchers friendly recipe-5 SmartPoints! There’s nothing better than a nice salad on a hot summer day. Who wants to eat a piping hot meal when it’s over 90 degrees outside?! Definitely not me! During the week, I usually eat a salad that I can just grab out of the refrigerator. A while back I decided to experiment and make an Asian inspired salad with noodles that could be served cold. Tt was a success. My Asian Noodle Salad is delicious and super healthy! This is a Weight Watcher friendly recipe and only 5 SmartPoints per serving! I’m kind of obsessed with noodle salads, especially because they are served cold so you can make it without a microwave when you are ready to eat! This salad is crunchy, fresh, and honestly refreshing. You can use any asian noodle you’d like for this salad: Ramen, Soba, Rice Vermicelli. For this salad, I make Lo Mein egg noodles to save a little bit on my SmartPoints. It’s a perfect mix of fresh vegetables and great if you want something different to eat than just a boring salad. 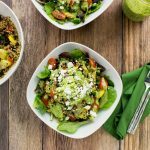 Even non-salad lovers will like it (aka my husband)… I guarantee it! 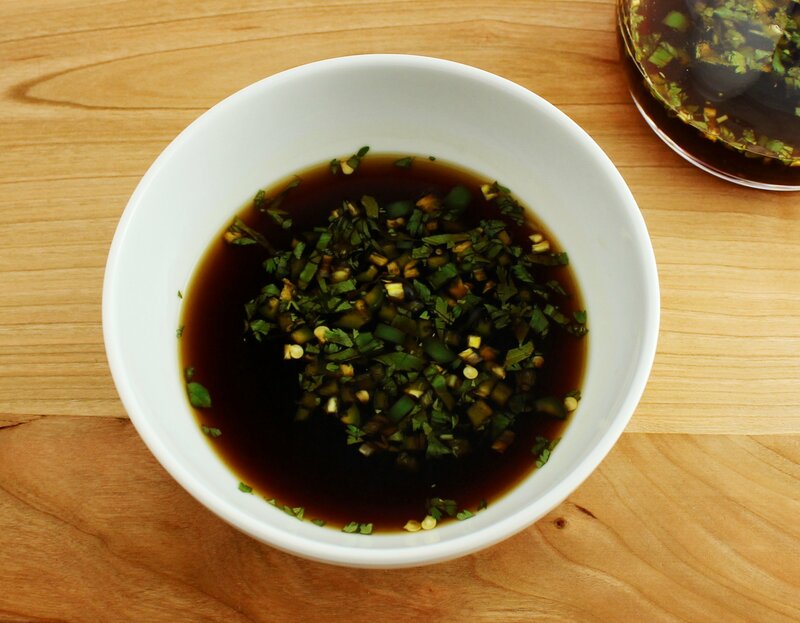 My Sweet and Tangy Asian Dressing goes perfectly with this salad. 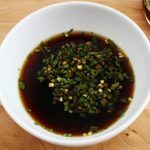 The salad dressing is not over powering and has just the right flavor to be paired with fresh veggies and noodles. I recommend prepping all the ingredients on a Sunday so that you can have a quick salad ready to go for week! I usually roast a few chicken breast in the oven on Sunday to have chicken on hand throughout the week for salads, quick tacos, anything. This Asian Noodle Salad is fresh, healthy, and the perfect quick lunch for a busy work week. Weight Watchers friendly recipe and 5 SmartPoints per serving! I hope you enjoy these fresh bites of flavor! Bring pot of water to a boil. Add noodles and boil for 3 minutes. Remove from heat and drain water from pot. Rinse noodles with cold water. Let noodles cool. 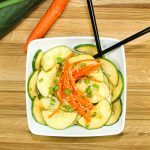 Julienne or slice the cucumber and carrots (a quick way to slice them is to use a potato peeler). Thinly slice red bell pepper. Cut cabbage head in half then thinly slice cabbage. Combine all vegetables and herbs into a large bowl and mix well. 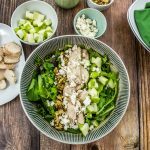 Put ½ cup cooked noodles in a bowl, top with salad mix, ¼ cup diced chicken, dash of sunflower seeds, and top with Sweet & Tangy Asian Dressing. To keep salad fresh, store noodles separate from salad mix in the refrigerator.